Wasps are less easy to forget at this time of year when they have previously been found to crawl right inside your Christmas crackers in the loft, gradually reanimating over the course of Christmas day, and finally waking up fully as a finger is inserted into the remains of the cracker to extract the hat..
That’s one monster wasp, remind me not to get him mad! 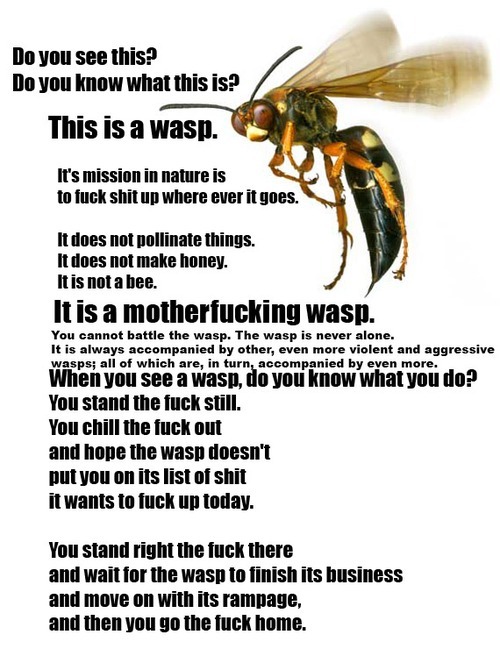 There are wasps this size in france, they call them frelons and they are so loud flying it sounds like a moped flying toward you. Very scary.